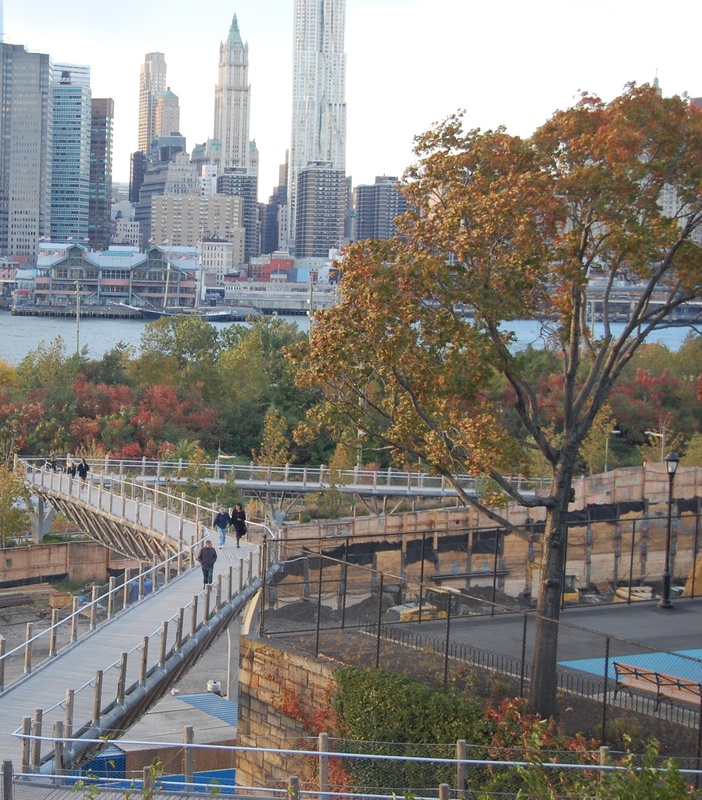 The saga might continue, but the bridge as a path to Brooklyn Bridge Park won’t…not for the foreseeable future. This comes, of course, after $3 million in repairs after the bridge was found to be structurally faulty not longer after it opened in 2013. The more extensive problems were discovered by the firm that undertook the lengthy repairs the last time the bridge was closed for safety reasons. There is no timetable for the current repairs to be completed and the bridge re-opened. 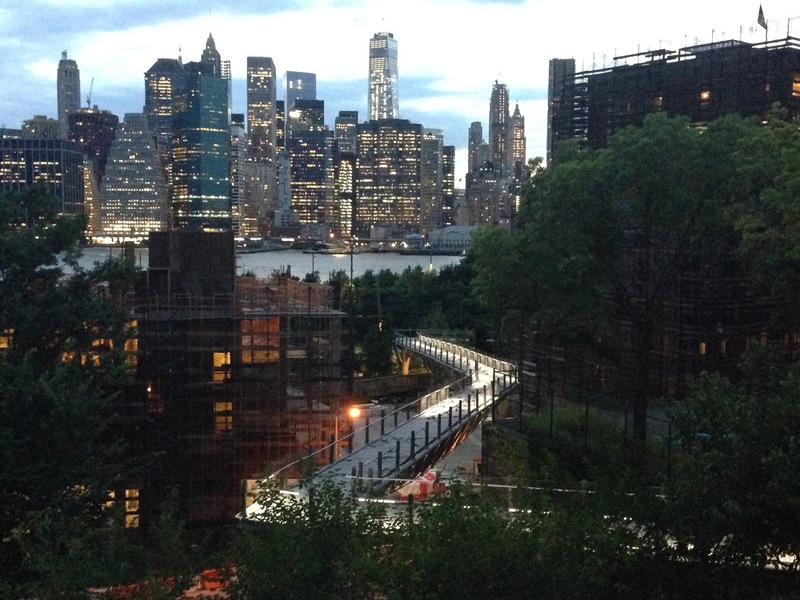 As the Brooklyn Paper points out, the bridge has now been closed longer than it’s been open. As always, read the original story for details and to support local journalism–and not just because one of my BHB comments is included in the story. Nice to know that our BP colleagues read us, too! Can’t they just build a normal bridge so we can actually use it? “a far bigger structural flaw.” i.e., the Pierhouse. They ought to just blow this up and start over. Meanwhile, it feels like Joralemon Street has been more crowded (and dirty) than ever this summer. Agreed, they need to cut their losses and replace the two main spans with a simple, proven design. Odd perspective in that photo, it makes the bridge appear higher than the level of Squibb Park, which of course it isn’t. BS – we want it fixed. Move on conspiracy theorist. And now per todays Eagle article, Bridge to be closed indefinitely. That Money Pit just gets deeper and deeper. Well yeah, there gonna build a 6 lane highway over it.